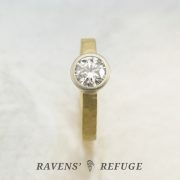 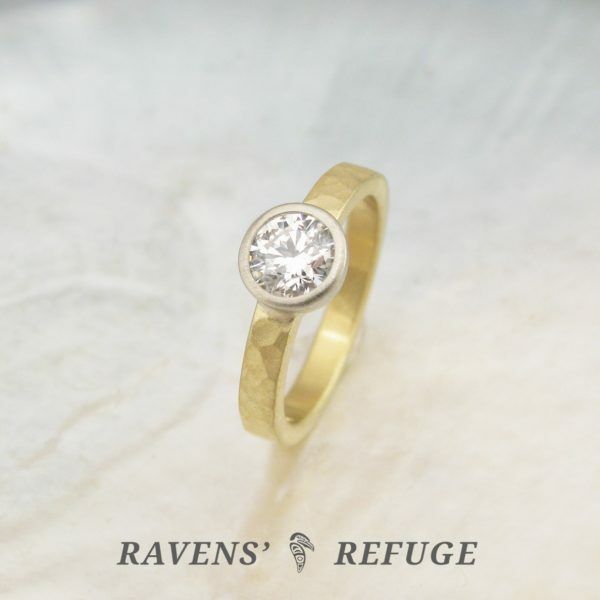 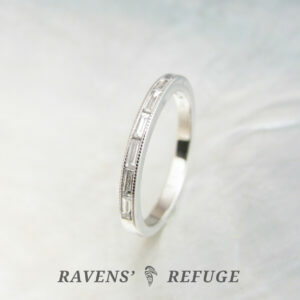 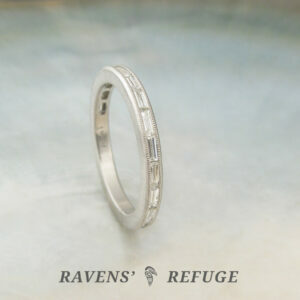 Both the shank of this ring and the bezel are entirely hand forged from the raw material, even in this day and age when most engagement rings are cast or made with pre-fabricated stock and bezels. 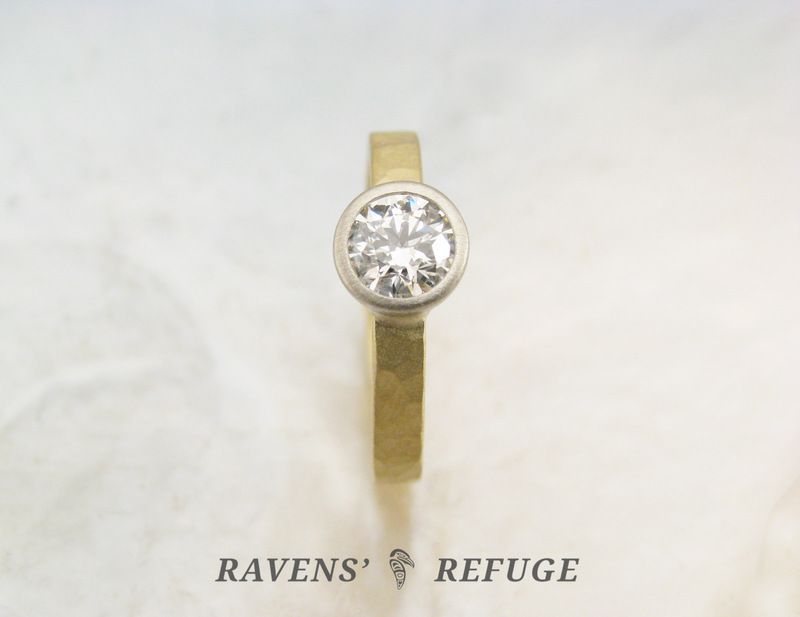 The bezel is set as low as possible, which minimizes the possibility of the setting catching on things. 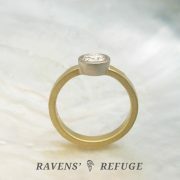 The .50 carat diamond will be VS/F+ quality and GIA certified. 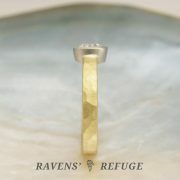 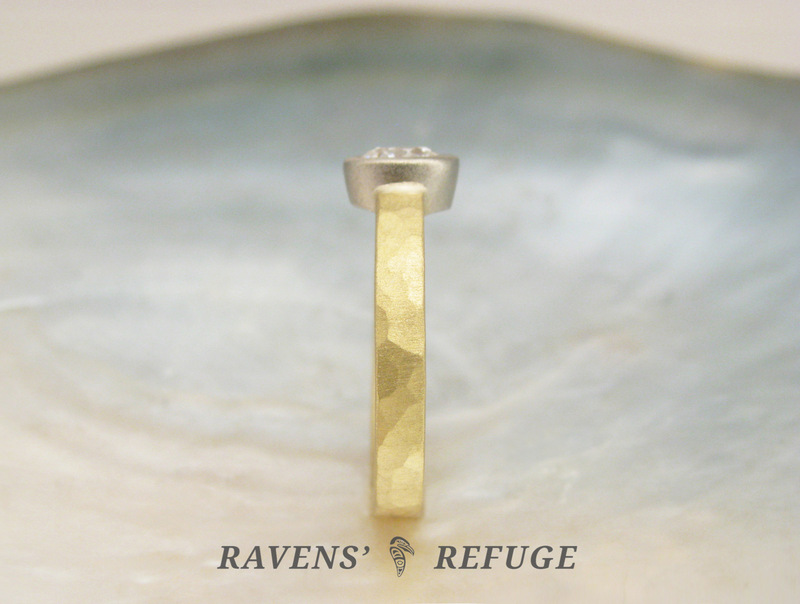 As pictured, the shank of the ring is 2.5mm x 1.75mm in dimensions and forged from 18k yellow gold. 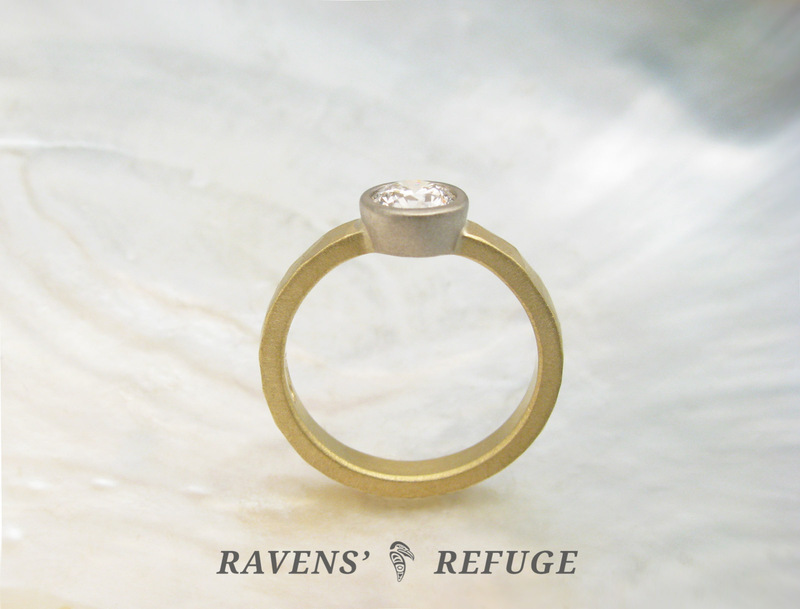 The interior edges of the band are beveled for comfort, and Dan has hammered the ring with our “cobblestone” hammering style. 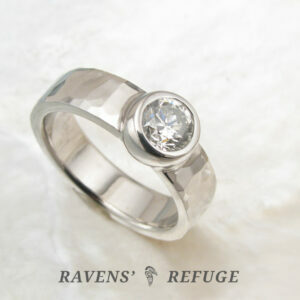 The bezel is forged from 18k white gold. 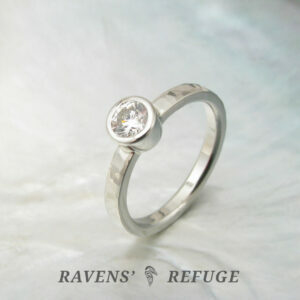 Shown with a satin finish, the ring also can be finished with a high polish. 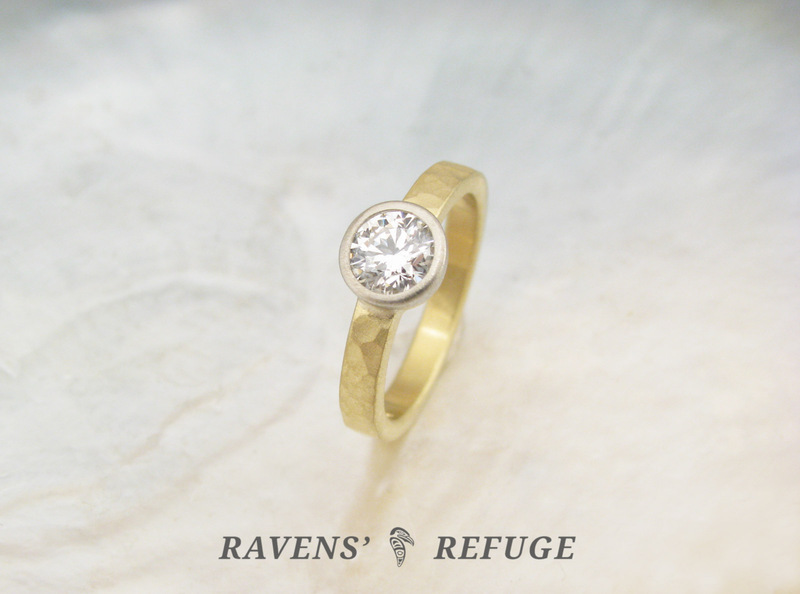 The diamond is conflict free, and the metal is recycled & not freshly mined.